Runner Runner aren’t really fans of cell phones in their new music video for “So Obvious,” but they still want to treat their loyal fans to something nice. 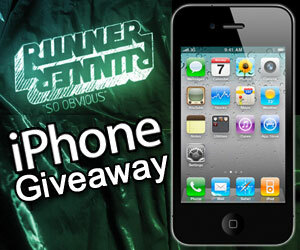 The guys and [UTG] are teaming up to give you a chance to win an iPhone! Enter NOW to win! The contest ends on August 7th so get signed up to win ASAP.